This is the fourth year for Diversified Machine Systems (DMS) to participate and exhibit at the JEC Europe Composites Show & Conference, focused on the composites industry, and it was a huge success. DMS product demonstrations and videos enabled attendees to view first-hand the technical capabilities of their 3 axis and 5 Axis Machining Centers and the great benefits they bring to the growing composite industry. This will allow DMS to get assistance and target specific markets and regions as we continue to expand our European presence. Diversified Machine Systems, (DMS) reports that participating in the 2013 JEC Europe Composites Show & Conference reinforced its global position as a leading manufacturer of 3 and 5 axis CNC routers and machining centers for the composites industry. DMS indicates that the well-attended JEC conference brought in a record number of attendees. The marketing team at DMS states that the JEC Europe Show is now the largest composites exhibition in the world, with the 2013 event attracting a record number of attendees. This is the fourth year that DMS has exhibited at the show, and it was a huge success in terms of turn-out and response. DMS experts and partners were available to demonstrate products and speak to the complexities of machining composites, while conveying the benefits of DMS’ custom CNC solutions. The composites industry has shown steady growth in recent years, and according to JEC reports, it’s estimated that the market will grow at an average annual rate of 6% globally. The demand for DMS’ innovative machining centers is increasing at an even faster rate, due to their emergence as an expert in composites machining. Attendees that visited the DMS booth were able to gain first-hand knowledge of the Diversified Machine Systems product line, by viewing video demonstrations of 3 and 5 axis CNC routers machining composites. Additionally, attendees were amazed by watching the new Fagor controller at work with its new features and the accompanying interactive modeling demonstrations. JEC Europe is recognized as the leading platform for the global composites industry, with a strong end-user oriented position. JEC press has indicated that a bigger setting for JEC Europe 2014 show has been arranged in order to accommodate growth of attendance, vendors, and conference proceedings. One of the major topics of study and interest at the JEC Europe 2013 conference was thermoplastics. This is an application in which DMS’ 3 and 5 Axis CNC routers and machining centers are utilized extensively to machine the molds that the heated plastic forms to, and to trim the cooled, shaped plastic to finished specifications. Other composite machining applications for 3 and 5 axis CNC routers include Aeronautics, Aerospace, Construction and Infrastructure, Marine, Mass Transportation, Pipes and Tanks, Wind Energy and more. DMS is looking forward to the JEC Europe 2014 show with its anticipated growth. Diversified Machine Systems is a leading designer and manufacturer of 3 & 5 Axis CNC routers & custom machining centers. With more than 33 years of innovation and industry experience as an Original Equipment Manufacturer, DMS serves virtually every industry segment from Aerospace and Automotive to Entertainment and Green Energy. DMS CNC routers and machining centers are routinely used on materials such as carbon fiber and honeycomb composites, structural aluminum, steel panels, plastics, wood and modeling foams. Renowned for quality and precision, our advanced machining centers are engineered to increase efficiency and productivity, without sacrificing quality. 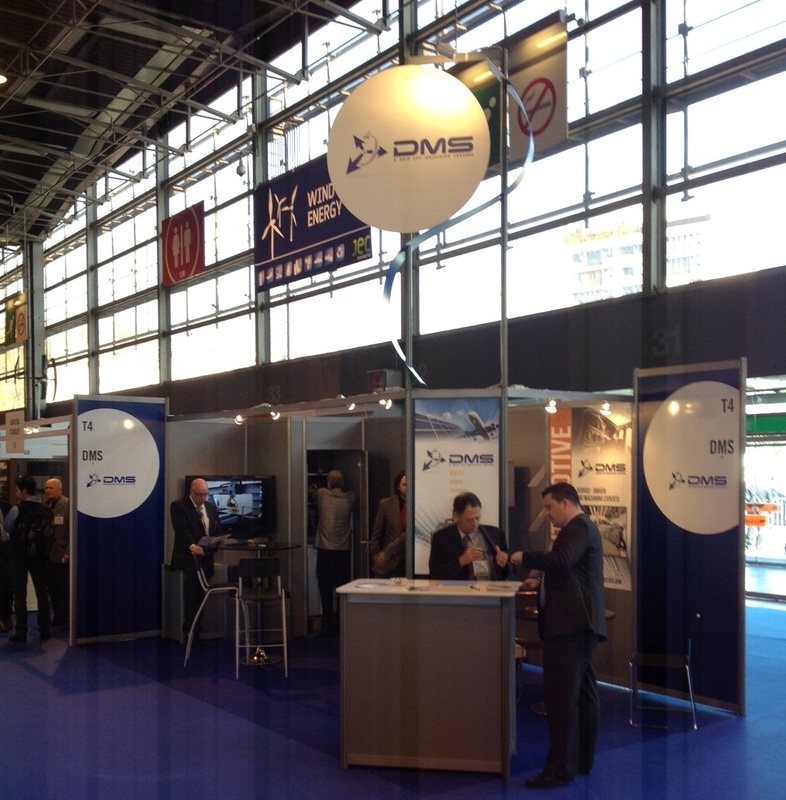 DMS Exhibit at JEC Europe 2013Diversified Machine Systems returns to JEC Europe Composites Show & Conference for the 4th time.